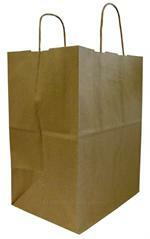 Customers will appreciate the convenient, die-cut patch handles on these flat-bottom, unbleached natural brown shopping bags that are the perfect size for takeout food applications. 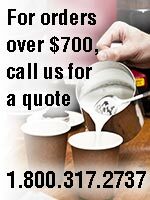 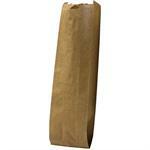 100% compostable. 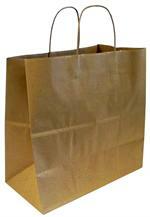 These attractive, natural brown retail shopping bags with rolled paper handles are made from FSC certified, 100% recycled, unbleached natural kraft paper containing 95-100% post-consumer content, they are 100% compostable. 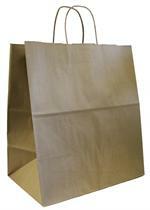 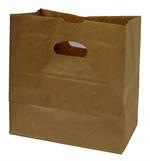 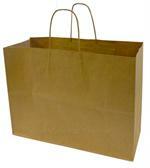 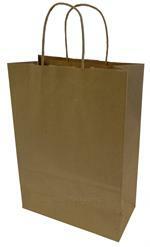 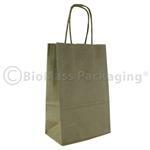 Send customer purchases home in these attractive, natural brown retail shopping bags with rolled paper handles. 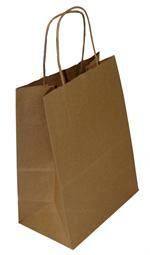 Made from recycled, unbleached natural kraft paper containing 90 to 100% post-consumer content, they are 100% compostable.